I thought I would post a picture of one of the amazing prizes from the Velogames GIRO league I ran. I’m going to be running a Tour de France league too so I hope everyone who entered the GIRO league would like to enter the TDF one too. If there is anyone who would like to donate prizes please email me on lagazzettadellabici@gmail.com I’ve already got a special little package from a very smart pro rider in Girona as part of the prizes for the TDF competition. 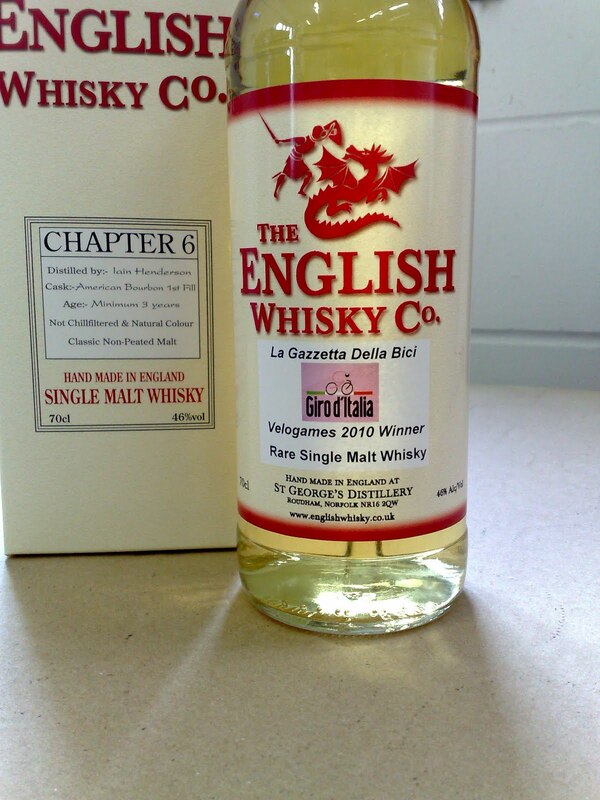 Thanks so much to David Fitt and The English Whiskey Company for this great prize.